How To Design A Basic Exercise Plan For The Fifty Plus Adult To Exercise Safely and Effectively? Proper exercise plan helps to exercise safely and effectively at the age of fifty.For this exercise plan you need to look for best exercise equipment. There are two things in exercise plan which helps to exercise safely and effectively: heart rate monitor and paying attention to your body. Heart rate monitor is the good equipment to invest to exercise safely. Heart rate monitor range drops 10 beats per minute from what it was when you were forty. Keep track of where you are in your range and keep yourself safe. You may be thinking sometimes that you are working harder than you really are. You can check the heart rate monitor if you feel that you are working harder. If you are serious about your exercise plan, you should buy a heart rate monitor. 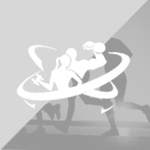 As you want to make fitness as an important part of your life, you need to have proper tolls. You have simple inexpensive tools to expensive tools. The expensive tool keeps track of how many calories you are burning and will automatically calculate your optimal health range. Paying attention to your body is the important factor in exercise plan after fourty. If you have never exercised before, you may have pains the next day or for three to four days. Your body takes little time to adopt to exercise plan. Follow the guidelines given below for proper exercise plan. If you are already in shape, you can still perform fitness activities. 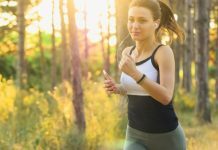 There is no need to give up running if you feel good while doing it. If you challenge yourself with a high intensity activity, you cannot recover as fast as you used to but give time to recover. There is no need to take the next day off in your exercise program but you can go for light exercises. Getting active is important for you. You have to start slowly as you have lost a significant amount of muscle mass and even worse as your joints, tendon, and ligament flexibility have gone. Your exercise plan includes high intensity exercises that do not shake your joints. 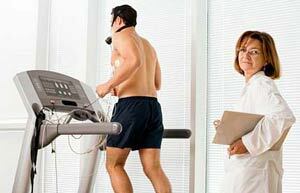 If you want to work on treadmill, turn the incline up and walk briskly uphill. You will get a better workout without damaging your joints. Evaluate how you feel after each workout. Your body is in a constant state of change and an activity which is too hard for you can be performed few months later. If you feel any activity well, add more intensity to that activity. This helps your body to adapt to that exercise. But adapting to any exercise for many days no longer progresses in your fitness goals. You have to change your exercise plan to keep improving your body. If you feel your exercise program is bit tough, back off a little and progress more slowly. If you are ill or can’t get out of bed, do not punish yourself by pushing your body hard. You should follow the exercise plan for six days a week. When you are in forty’s, you had the option to start with three days of workout a week and gradually increasing your workout. But you don’t have the option at the age of fifty. You have to exercise for six days a week. You should follow the exercise plan for one and half hour with 45 minutes workout at home and other 45 minutes to spend at gym to keep yourself fit and healthy at the age of fifty. Previous articleOver Forty? What Is That You Have To Do To Lose Weight Fast?